March 16th, 17th & 18th at the Sonoma County Fairgrounds. 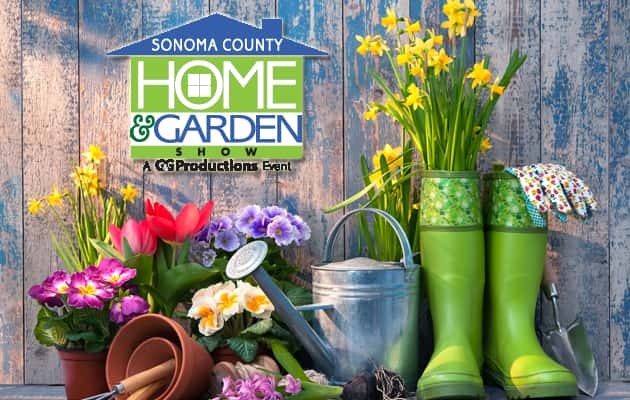 The Home & Garden Show is committed to helping rebuild Sonoma County. The show is focused this year on offering services, resources and job opportunities to help those in need as well as those looking to refresh or remodel. Hundred of exhibits, seminars and resources. Plus, great prizes and giveaways. For event times, prices and exhibitor list click HERE. Pat Kerrigan has your shot to win four packs of tickets all week.